1969 Harper & Row, 1969. Hardcover in very good condition with very good dust jacket. A little highlighting.. Hardcover. Good/Very Good. Chicago Daily News National Almanac for 1946. The Chicago Daily News, Inc. Hardback in very good condition.. Hardcover. Very Good. New Britian, Connecticut, U.S.A.: Lexington Books, 1988. hardback in fine condition in fine dust jacket.. Hardcover. Fine/Fine. 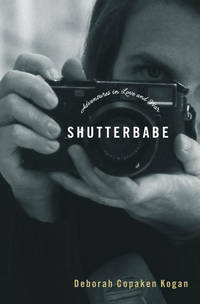 Shutterbabe: Adventures in Love and War. Advance Reader's Copy. Westminster, Maryland, U.S.A.: Random House Inc, 2001, 2001. trade paperback in fine condition.. Soft cover. Fine. Secaucus, NJ, U.S.A.: Carol Publishing Group, 1994, 1994. Hardback in fine condition with fine dust jacket.. Hardcover. The Elite Press. Great Newspapers of the World. 1968 Pitman, 1968. Hardback in very good condition with good dust jacket.. Hardcover. By Carter, Don E.; Mallette, Malcolm F.
American Press Institute, 1992, 1992. trade paperback in near fine condition.. Soft cover. Fine.